46 "Why do you call me "Lord, Lord,' and do not do what I tell you? 47 I will show you what someone is like who comes to me, hears my words, and acts on them. 48 That one is like a man building a house, who dug deeply and laid the foundation on rock; when a flood arose, the river burst against that house but could not shake it, because it had been well built. 49 But the one who hears and does not act is like a man who built a house on the ground without a foundation. When the river burst against it, immediately it fell, and great was the ruin of that house." Two Foundations to compare (46-47). In Jesus’ parable…he describes two builders: The one who builds on a rocky foundation is like the one who “comes to me, hears my words, and acts on them” (47); while the one who builds on sand is like the one who ignores my words altogether. Hearing and doing the word is a recurring theme in Jesus’ teaching…In a similar parable, The Parable of the Sower & the Soils (Luke 8: 4-21) Jesus compares the good soil which receives the seed and bears much fruit to those who listen his word “hold it fast in an honest and good heart, and bear fruit with patient endurance” (8:15). Jesus even defines his true family by this criteria where he says “My mother and my brothers are those who hear the word of God and do it” (8: 21). If nothing else, we have to admire Jesus’ confidence here! He knew that his words and deeds decisively revealed God’s life-saving truth; yet we find no trace of pride or arrogance in Him here. Only love…love even for his enemies. When Jesus speaks of the wise person who “comes to me,” he is talking about a life lived in close community with Him: "Come to me, all you that are weary and are carrying heavy burdens, and I will give you rest. Come to me that you may have life (John). Where are you staying master? Come..come and see! When Jesus says “hear my words” he means that we are to focus our full attention on his teaching. Giving anything our full attention today is difficult. Two recent studies, one by Carnegi Mellon University show that “typical office workers only get 11 continuous minutes to work on a task before interruption” by texting, email and social media. Students average only 2 minutes. It also maintains that “multi-tasking while doing academic work” profoundly affects the encoding of memories and leads to learning that is “spottier, shallower, less flexible.” The study suggests that those who learn when and how to resist the ping, buzz and beep of their mobile tech. have a distinct advantage in life. When Jesus counsels us to love our enemies, to give to those in need, to take a careful inventory of our own sin before pointing out the sins of others; when he challenges us to speak the truth and live lives of unbreakable commitment he is not trying to ruin our lives…but to bless them and protect them which is why he wants us to listen to him carefully. So Jesus challenges us to listen carefully to him…and that means not only an intellectual grasp of his words, but a willingness to act on them. In school the goal is to demonstrate mastery of information, but Jesus’ goal is more than that…it is moral and spiritual transformation. Therefore the one who acts on what he hears will be like one who builds his house on bedrock rather than on sand. Building our lives on the words of the most influential person in human history makes objective sense…yet many of us don’t do it. Why? Reason #1 The foolish builder didn’t trust the advice of the Master Builder. Jesus said that some cry, “Yes, Lord!” but then do what they feel like. How many times have we said to someone, “Yes sir!” and then did the opposite…whether it was a teacher, our parents or a boss at work or perhaps even the contractor remodeling our house! Obviously this builder was given different advice about how to build in a flood zone, but chose to ignore it, which is why it is a good illustration of Jesus’ point. Some prefer to build on another (or no) foundation because they don’t trust that Jesus has the best information available on how to build houses and lives; or they like Jesus’ words but don’t buy that He is the Son of God. The fact that Christ tells this parable at all proves that his response to such a person is not angry denunciation…but a sincere invitation to “come and see,” to make an experiment of walking in his ways, for if he is indeed the way, the truth, and the life, than the blessings of patterning our life after his - will become self-evident. I can’t think of a single time that I’ve regretted trusting in the way of Christ. If I have any regrets, it is the times that I’ve chosen to ignore his words and ways. Reason #2 The foolish builder didn’t take the long view. He didn’t think he needed to prepare for the Big One that probably wouldn’t come. For many, life seems just fine without Jesus. They don’t see the need. 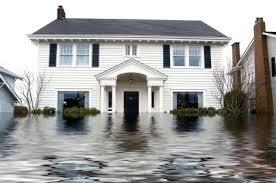 Storms are more theoretical then real and the need for flood insurance seems unnecessary. Notice that when Jesus speaks of storms he says, “when” and not “if.” “When the flood arose…when the river burst.” Storms are not an “if” - they are a “when.” They’re not a possibility; they are a certainty. We don’t talk about “if” an earthquake will ever hit Los Angeles again, we talk about “when.” We don’t realistically talk about “if” we ever get sick, we talk about “when.” I don’t do my estate planning because I think I may die, I do it because I know I will. Last week I spent the day with my second Cousin Rick, who is an expert marksman and outdoorsman…a genuine cowboy. While tracking an elk his horse’s hind legs lost their footing and he began to tumble end over end down a steep ravine taking Rick with him. As he was tumbling a thought came to him matter of factly: “So this is what it’s like to die.” God had done an incredible miracle in his life about 7 years before and so he was a bit more prepared this time. Amazingly, he grabbed the side of the cliff as the horse went down. He said he felt something like a tap on his shoulder, and then a voice, “Son, you’re doing better.” Rick has a distinct feeling that he’s here to learn… and one of the biggest lessons he’s here to learn is that he can trust God in all things, even death. We need to prepare for the Big One. I’m amazed that every year people spend up to 8% of their salary on a one in a 175 million chance of winning the lottery…and yet are unwilling to bet on the much more likely possibility that they are going to die and meet their Creator…a God who wants us to know Him; and to prepare us now for a never-ending life, not apart from Him, but with Him. Reason #3 The foolish builder didn’t want to toil that hard. When all is said and done, some of us don’t actually choose to do what Jesus asks because it sounds like too much work. In reality, not doing what Jesus says is vastly more difficult and painful. Not because we will be guaranteed a storm-free life. Both houses in Jesus’ parable experienced storms, and Jesus does not tell us that just because we follow him we are guaranteed blue skies and sunny weather. Not because our house will miraculously grow into a mansion. Some teach that when you “get religion” you are guaranteed prosperity and comfort. If that was true…we’d have 5000 in worship every Sunday. Jesus doesn’t entice us with promises of prosperity, he challenges us to live lives of generosity… to share our food with the hungry, to provide for our families, and to invest in His kingdom. In the end, the biggest reason to build on the foundation of our Lord’s words and ways is this: Our house will still be standing after the storm! Jesus ends his sermon with a crash: “and great was the ruin of that house.” The reason he is teaching us the way to live the eternal kind of life is that he wants to save us from that crash…to save us from messed up lives and messed up eternities (2 Corinthians 5:1). But to build on such a foundation is a decision we must make. It begins with a simple prayer…a prayer not just that we would be spared from the stormy winds of life…but that the mighty wind of his Spirit would fill us with his presence & power. Yesterday I was driving out to El Segundo and saw what seemed like hundreds of sailboats cruising across the ocean on a beautiful Saturday afternoon. John Ortberg rightly points out that when Jesus calls us to follow him, listen to his words, and act on them, he is not asking us to do all the work…like rowing to Hawaii, which would be pretty exhausting; nor is he suggesting that we just sit back and drift across the Pacific Ocean as though we were on a raft…assuming the work is all on Him. In reality, coming to Christ, listening to him and acting on his words is more like sailing. We don’t control the wind, but a good sailor knows how to catch the wind and ride it…this happens as we confess our sins and receive His grace, learn from Him in community with his people, spend time in His word, love and serve others in His name, and invite Him to empower us with his Spirit etc. it overwhelmed their doubt, it filled them with courage and power to walk with him, and it is His gift to all who would come to him, hear his words and walk in his ways. Risen Lord, forgive us for listening to Your words, but failing to put them into practice; for building our lives on shaky foundations and with poor materials; for thinking that we didn’t need to prepare for the inevitable storms of this life. We have paid the price, yet we know that You can rebuild what has been flooded, whether in our church, our homes, or in our own lives. May the mighty wind of Your Holy Spirit blow through us today, helping us to turn from what we know is wrong, and to walk in Your ways. May the wounded and the downcast be refreshed and healed. May words of wisdom and encouragement be spoken among us. May others be drawn to You and Your saving grace through our testimony. For You are our hearts’ one desire and our one unshakeable foundation. Amen. 37 "Do not judge, and you will not be judged; do not condemn, and you will not be condemned. Forgive, and you will be forgiven; 38 give, and it will be given to you. A good measure, pressed down, shaken together, running over, will be put into your lap; for the measure you give will be the measure you get back." 39 He also told them a parable: "Can a blind person guide a blind person? Will not both fall into a pit? 40 A disciple is not above the teacher, but everyone who is fully qualified will be like the teacher. 41 Why do you see the speck in your neighbor's eye, but do not notice the log in your own eye? 42 Or how can you say to your neighbor, "Friend, let me take out the speck in your eye,' when you yourself do not see the log in your own eye? You hypocrite, first take the log out of your own eye, and then you will see clearly to take the speck out of your neighbor's eye. 43 "No good tree bears bad fruit, nor again does a bad tree bear good fruit; 44for each tree is known by its own fruit. Figs are not gathered from thorns, nor are grapes picked from a bramble bush. 45 The good person out of the good treasure of the heart produces good, and the evil person out of evil treasure produces evil; for it is out of the abundance of the heart that the mouth speaks. The first step: Honor God as the final Judge (37). 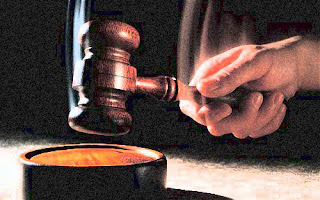 When Jesus says, “Do not judge!” he is talking especially about making final judgments about others; about self-righteous slander and unjust criticism. When we presume to make final judgments about others it is because we’ve taken it upon ourselves to sit in God’s judgment seat. And where does this lead us? As Karl Barth would say, “it leads us to the place where we pronounce ourselves innocent, and everyone else guilty. Several years ago Millard Fuller of Habitat for Humanity asked a group of 200 pastors a seemingly innocent question: "Is it possible for a person to build a house so large that it's sinful in the eyes of God? Raise your hand if you think so." All 200 raised their hands. "Okay," said Millard, "then can you tell me at exactly what size, the precise square footage, a certain house becomes sinful to occupy?" Silence from the pastors. You could have heard a pin drop. Finally, a small, quiet voice spoke up from the back of the room: "When it is bigger than mine!" Pronouncing others guilty and ourselves innocent is dangerous business, because we are under judgment ourselves. In Rome, there were several judgment seats in the great basilicas, the colonnaded porches around the Forum where a man would stand before the tribunal. There was no Roman citizen who was not familiar with the scene of one standing before this awesome judgment seat. Yet Jesus reminds us there is only ONE Judge to whom all must answer (even the Roman tribunal), and give an account. Who is this Judge? “The LORD…will judge the world with righteousness and all the nations with his truth.” (Psalm 96). Before we open our mouths to speak a word of criticism or correction, however well intended, this knowledge will temper our words…this knowledge will help to transform arrogance into meekness; and over-confidence into humbleness. The second step: Hear & obey God’s mandate to practice mercy (38). Jesus goes on to say that “the measure you give will be the measure you get back.” Here is a powerful motivation to practice mercy and to be slow to judge! If we are unmerciful, we will not be shown mercy. This is because the practice of mercy is the chief evidence that we’ve received it! If we are unmerciful, we prove that his grace is not operative in us. Luke tells the story of a time when Jesus was invited to eat at the home of a Pharisee named Simon. As he sat at the table with Simon amidst a crowd of on-lookers, a woman described as “sinful” (i.e., a prostitute) enters the room and begins to wet Jesus’ feet with her tears, wiping them with her hair, and a flask of perfume. Simon is shocked, thinking to himself, “If Jesus were truly a prophet, he would know that the woman who is doing these things to him is a sinner.” Jesus, replies: “Simon, when I arrived, you did not offer me any of the customary hospitality – no water to wash my dirty feet, no kiss of greeting, no anointing oil for my head to honor my arrival. Yet this woman did all these things for me and more. Why? Because “her sins, which were many, have been forgiven; hence she has shown great love. But the one to whom little is forgiven, loves little (Luke 7: 47).” I have to confess that at times in my life I have been more like Simon and less like Jesus; that sometimes I have failed to offer the mercy which I have received. If I am quick to pass judgment on others, it may be because I have not yet realized how totally dependent I am upon God’s grace…which leads us to the third step. The third step: Take an honest self-inventory of your own sins and imperfections (39-42). Jesus’ words are convicting. 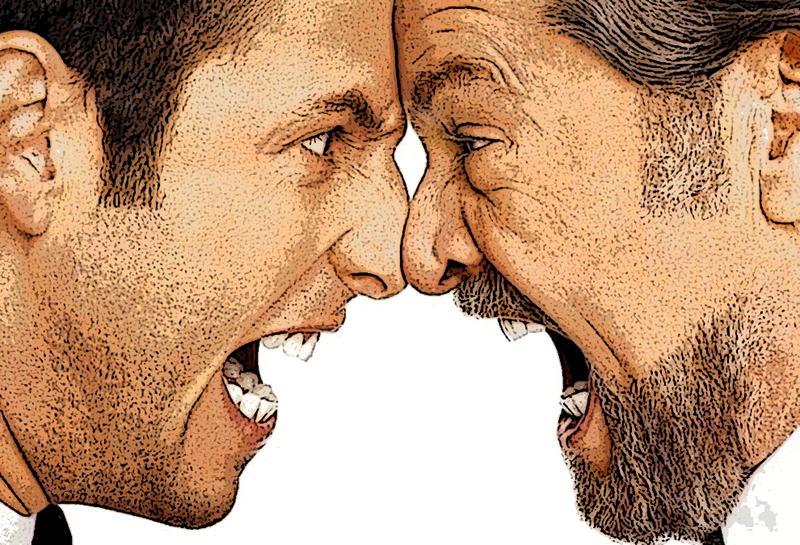 “Everyone who is angry with a brother is liable to judgment…. Whoever looks at a woman with lust has committed adultery… Love your enemies and pray for those who persecute you…Beware of practicing your piety before others in order to be seen by them… You can’t serve God and wealth." To listen to Jesus’ words is to be judged profoundly, and to re-evaluate all our attitudes and actions by God’s standards. It’s a very human tendency to defend ourselves against true judgments of our character; and so we focus on the failures or shortcomings of others instead. Isn’t it remarkable how you and I are able to pinpoint poor driving habits, like a skilled DMV examiner, while excusing our own; how like Superman we can see all of our neighbor’s trash without even opening the lid; how we can quickly refute the arguments of an opponent while failing to see the holes in our own; how quickly we fantasize about all the other people who need to hear Jesus on this subject; while forgetting that he may be speaking to us? Jesus says, it’s like walking around with a log in your eye (The vivid Greek word used here is dokos– a weight bearing beam in the ceiling or floor of a house) while trying to remove the splinter of wood, a speck of sawdust, in someone else’s eye! The fourth step: A humble and self-critical offer of help (42b-45). There is obviously a point at which it is sometimes necessary to practice good judgment (or discernment). It’s interesting that the command not to judge is immediately followed in Luke’s Gospel by this word about good and bad fruit. In Luke 6:43 Jesus implies that the good and evil in us is revealed by the fruit that our lives and our mouths produce. Such distinctions surely require a judgment call. When you stop to think, it's really not possible to be completely non-judgmental. Even the charge that someone is being judgmental is a rather judgmental thing to say! The truth is, we have to make judgments every day. 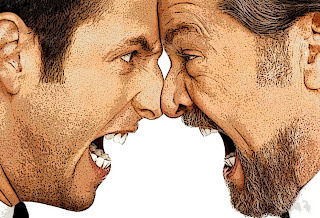 Parents, when your children are in a fight, and each comes to you blaming the other, you have to make a judgment call. When you go to the market and you’re looking over the apples, deciding which to buy and which not to buy, that requires judgment. When you’re on jury duty and have to come up with a verdict, that requires good judgment. No one would argue that what Arial Castro did in kidnapping and abusing his three victims for more than 10 years was not evil. I’m so thankful that these girls were freed and this terrible crime was stopped….and that it was judged accordingly. And if it’s true that this man was also abused as a child the whole story is doubly tragic because as we know…abuse often begets abuse. There have been many times in my life when I have received constructive criticism that has helped me to grow as a person. I don’t know about you, but I find that I’m best able to receive it when it comes in a spirit of humility! There have been moments, when I have had to make judgment calls too…when I’ve had to challenge a person who was hurting himself or someone else. On several occasions, Jesus judged the religious professionals who disliked the fact that he healed on the Sabbath, or had dinner with tax gatherers and others “sinners.” He did not deny the fact that he spent time with broken or sinful people. Instead he kept saying that this was his mission…to be a physician to the sick, not to the self-righteous and those who think they are healthy. Recently I’ve been talking with a guy who has informed me that God speaks through him… directly; and it has been pretty clear that he has felt called to straighten me out. He informed me one day at the gym that I was not really walking with God…I think it was because I was having too much fun talking to one of my other friends and didn’t seem spiritually serious enough to him. He even criticized how I did my pull ups…the nerve of this guy! One day he delivered a message to me in a Fed Ex envelope for me to read. It was a rambling work about 10 pages long…but the gist of what it said was that focusing on the body is selfish and ego-driven but focusing on the spirit is the way to purity and God-consciousness (not sure why he’s in the gym every day, and telling me this). Anyways, he had a laundry list of spiritual secrets that would ensure that I was freed from my ego-body and becoming a spirit-led man. When I saw him again I told him that I had read his words… I told him that while I agree we can focus too much on our bodies, Christ came to us in a body, the Bible says physical exercise is of some value…and that as a Christian we affirm the value of the body and God’s creation, and not just disembodied spirit. But more importantly, I said that my confidence about my relationship with God is based not upon my ability to climb incredible spiritual heights through secret mind-expanding exercises, but because of what Christ has done for me publicly through his life, death, and bodily resurrection. I asked him if he had this same confidence? Well, let’s just say he was disappointed. He was convinced he had the answers that I needed and I wasn’t getting it. I believe God was calling me to make a judgment call based upon the truth of Scripture, and my own sanctified common sense. At the same time, I believe God was calling me to stay connected with him, and to speak gently, even while I disagreed with him. Oh yes...and he had another envelope for me this week! I winced but accepted it...knowing that this conversation is "to be continued." Almighty God, forgive us when we have judged others self-righteously, prejudicially, and without a deep awareness of our own sinfulness. We confess that we have tried to sit in the final judgment seat, the place where we have pronounced ourselves innocent and others guilty. Help us to remove the log from our own eyes before trying to find sawdust elsewhere. At the same time, we pray for discernment, that we may be ready to offer help to those who are in danger of hurting themselves or others by their words or behavior. This we humbly ask, knowing that it is before the Righteous Judge that we stand, who was willingly judged in our place, and who suffered our judgment on the cross. In Christ, there is therefore now no condemnation! Amen. It seems there is never a short supply of enemies to discuss on the nightly news. North Korea has threatened us with nuclear missiles. The Marathon bombers have once again shattered our sense of homeland security. Meanwhile, the fate of hundreds of prisoners at Guantanamo Bay who were incarcerated in the war on terrorism is yet to be decided. We could spend months debating these issues - and already have - while never considering the daily conflicts that we have at the office, at school, or even at home. In the face of all this, Jesus' command to love one's enemies in Luke 6: 27-36 seems quite simply absurd, impractical, and even dangerous to many. So, is it impractical or is it really indispensable? In order to answer that question we need to understand the meaning of this command, the motivation for it, and the power to do it. We need to understand the meaning of it (27-31). The whole of Jesus' teaching here answers the question, how are we to respond to those who oppose our will, our dignity and integrity as human beings? Jesus begins with this blockbuster of a command: "But I say to you that listen (Hey! Are you listening?) Love your enemies, do good to those who hate you" (27). The backdrop of Jesus’ words is what might be called “The Law of Retaliation” which said that revenge was righteous as long as you did not take more than what was taken from you. “An eye for an eye, a tooth for a tooth” (see Exodus 21:24, Deuteronomy 19:21). The original law was not a bad law, it was actually designed to control vengeance and encourage mercy; and was probably not literally applied anyway: most of the time an injury was given a monetary value. Nevertheless, Jesus rejects vengeance as the way we are to respond, and calls us to practice unrestricted love and goodness even towards our enemies. Specifically he calls us to “love, do good, bless, and pray for” those who really don’t like us…and may even hate us (27). If anyone strikes you on the cheek, offer the other also” (29). Now as then, being slapped in the face is a grave insult. Jesus wants us to dampen the fire of anger, letting it slide off us like water off a duck; breaking the cycle of revenge. Martin Luther King once described a time when he and his brother were driving at night to Chattanooga, Tennessee from Atlanta. “He was driving the car. And for some reason the drivers were very discourteous that night. They didn’t dim their lights; hardly any driver that passed by dimmed his lights. And I remember very vividly, my brother A. D. looked over and in a tone of anger said: "I know what I’m going to do. The next car that comes along here and refuses to dim the lights, I’m going to fail to dim mine and pour them on in all of their power." And I looked at him right quick and said: "Oh no, don’t do that. There’d be too much light on this highway, and it will end up in mutual destruction for all. Somebody got to have some sense on this highway." Somebody must have sense enough to dim the lights, and that is the trouble, isn’t it? When Jesus told us to turn the other cheek, he was revealing to us the key to ending the cycle of hatred, revenge, and violence in this world. Now it’s a legitimate question to ask…what about our neighbor’s cheek? What should we do when someone else is being slapped? Do we offer their other cheek too? Jesus doesn’t say that…but what he does say is that he came to let the oppressed go free (Luke 4: 18). I think we have to assume that Jesus would have us always stand on the side of the oppressed and mistreated; to confront evil when it occurs in a way that is both just and merciful. Indeed, the restraint of evil is the legitimate God-given role of a righteous government (see Romans 13). “…and from anyone who takes away your coat do not withhold even your shirt. Give to everyone who begs from you; and if anyone takes away your goods, do not ask for them again” (30). Now I have to admit that the last thing I would want to do if someone stole my coat is to give them the shirt off my back. Can Jesus be serious? I’d want to yell and scream… go to the police, file a report on stolen jackets, write down his license plate number! I think what Jesus is serious about here is refusing to see myself only as a victim. We can spend a lot of time complaining about what other people have done to us…yet Jesus challenges us to see the underlying need of others, to seek to understand it, and to take appropriate action. But notice too that Jesus does not tell us to give whatever we are asked, but rather to whomever asks. Again, we are not powerless, we are still left with the responsibility to decide how best to help those who are in need. Above all, it challenges us to value people, even those who infuriate us, more than things. To some up the meaning of enemy love, Jesus says: “Do to others as you would have them do to you.” (Lev. 19:18) In other words, your behavior toward others should not be determined by how others actually treat you, but how you would want others to treat you! You have the power to dim your lights and to meet hatred with love. That’s a tall order? Why do it? We need to understand the motivation for it (32-35). Jesus was not speaking in abstractions here…he was speaking from real life experience. He had enemies, including his cynical brothers (John 7: 2-5). He knew that loving one’s enemies is impossible without strong motivation. So what motivations does he offer us? But there is more. Jesus offers us a Heavenly Reward: For he says,“your reward will be great.” Essentially, Jesus is saying that we should do our good deeds, not for the applause of people, but for the applause of heaven. The reward Jesus speaks of is not our salvation for that is a free gift to all those who are lost and have been found by Him. Rather, it is the joy of a life lived according to the Way of Jesus and his self-giving love…. a love that will make profound changes in us now, and continue to bless us and others for eternity. Micky Mantle once said, “I would have taken better care of myself if I had known I was going to live so long.” Our life today is an eternal life…and what we are doing today matters because it is preparing us for a never-ending life of joyous responsibility in God’s full world. Finally, we need to understand the power to do it (36). So what line is Christ calling you to cross in the name of love this week? What boundary line of resentment and frustration or suspicion is he asking you to ignore? What radical step is He calling you to take as you consider his command to love the unlovable and to show mercy to the infuriating? How is God searching your heart today and leading you in the way everlasting? These are humbling questions, questions that lead us to seek the power to actually do what Jesus asks.They command us to do what may seem impossible, impractical, and downright nonsensical. We sense in us a tension between the lofty ideals of God’s love…and the harsh reality of ugly people who get under our skin. I’m thinking of Psalm 139, a psalm that begins with soaring verses about an inescapable, transcendent God. “O Lord you have searched me and known me. You know when I sit down and when I rise up, you discern my thoughts from far away…Where can I go from your spirit…or flee from your presence? For it was you who formed my inward parts and knit me together in my mother’s womb…I am fearfully and wonderfully made. How weighty to me are your thoughts O God…I try to count them – they are more than the sand; I come to the end – I am still with you." From rage against his enemies - or God's enemies - to a sudden realization of his own faults and shortcomings, David becomes deeply aware again that he himself is in need of God's mercy and a guide to lead him in the way everlasting. Yes, "Search me, O God!" For the Lord who forgave his enemies from the cross, and turned his persecutors into his friends, will empower you and me not only to say, “Woops!” but to begin to actually walk in this everlasting way. This is why Jesus says, literally: “Become merciful just as your Father is merciful.” Not just “Be merciful” but “Become (from ginomai) merciful!” It’s as though he knew that this would be a lifelong journey of growth for us. Yet we have hope because just as our Lord said, “Be opened” to the deaf man’s ears, and “Be still” to the roaring sea, and “Be not afraid” to his terrified disciples – so the One who gave his life for us...and forgave his enemies from the cross,will inspire us to “Be merciful" and therefore to become what He commands! Crucified and Risen Lord, who loved the unlovely, healed the unhealable, and forgave the unforgivable, I admit that I find it hard to love You without reservation, or to love others without qualification. I find it much easier to be consumed with my own concerns than to look beyond my circle of family and friends to the deep needs and hurts of others. It’s a strong temptation to be vengeful, to hold a grudge, to despise my rivals, and disregard the different, the difficult, or the simply annoying people with whom I work, live or go to school. Yet how can I ask you to forgive me if I am unwilling to forgive others? When those around me are at their ugliest help me to treat them with the same merciful love that you showed when you said, “This is my body, which is broken for you. Do this in remembrance of Me.” Amen. What is your dream of “the good life”? Is it about money, fame, success…contentment, comfort? This was an important question in Jesus’ day and ours as well. 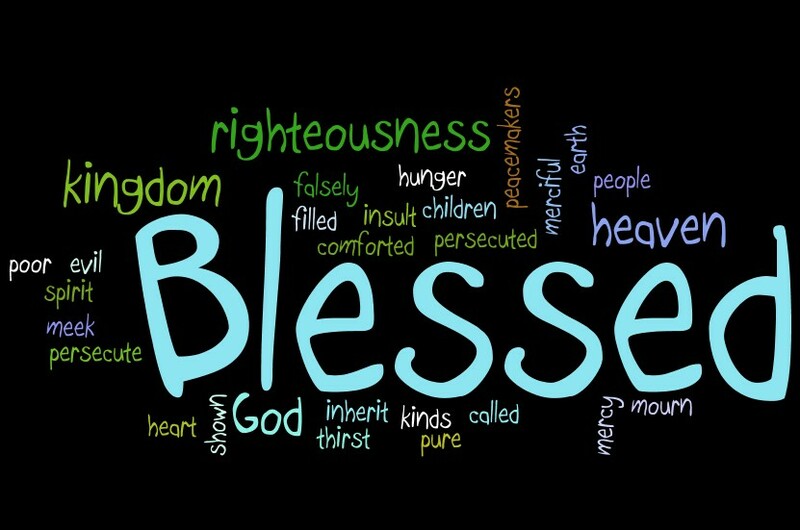 Many suppose that the “Beatitudes” in Luke 6: 17-26 answer this question by offering a “how to guide” on the good life. Strive to be poor, sad, hungry, and hated: then you’ll be blessed, and get the really big rewards from God. Dallas Willard tells about a man who left the church because of the Beatitudes. He had chosen a career in the military, and said to his mom that if being meek, poor, and sad was the ideal Christian life, he just couldn’t be that: "That's not me." (Dallas Willard, The Divine Conspiracy, 99). In case you’re wondering, poverty and deprivation is not the ideal in scripture. In Luke 1:52-53, Mary praises God for lifting up the lowly and feeding the hungry. In Acts 2: 43-47, Luke describes the church as a place where believers “had all things in common” and gave to one another “as any had need” (see Acts 4:34). If poverty and hunger is a sign of God’s favor, why try to alleviate it? i. Jesus’ word to the hungry crowds: “Yours is the kingdom of God – through Me!” 20 Then he looked up at his disciples and said: "Blessed are you who are poor, for yours is the kingdom of God. 21 "Blessed are you who are hungry now, for you will be filled. "Blessed are you who weep now, for you will laugh. Notice that Jesus did not say, “Blessed are you because you are poor and hungry and sad. No, Jesus implies that you are blessed in the midst of and even despite your poverty, hunger and sadness. Why? Because “Yours is the kingdom of God”…and you may enter it now through me regardless of your condition. 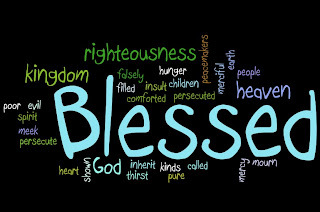 This is the key to understanding the Beatitudes. We are blessed not because we are miserable…we are blessed because God has come to us regardless of what condition we are in. In Jesus’ day and ours many assume, if you are poor or hungry or miserable or hated, that God must have abandoned you. But the message of Jesus is that the Kingdom of God has come near to such as these…to an unlikely mixture of Jews and Gentiles, the curious, the questioning, the poor, the hungry and the heartbroken… because no condition can exclude us from God’s merciful touch when we come to him with simple faith! Back in the 70’s something truly wonderful happened across the border from El Paso documented in the film Viva Cristo Rey. It was Christmas, and Father Rick Thomas was leading Bible studies on both sides of the river. They were doing outreach at the high school, in the prisons, running summer camps, and trying to reach out to needy people with food, clothing, and faith in Juarez. They decided to bring dinner on Christmas to the people who lived in the Juarez dump. They scraped together what they could, loaded a few cars and headed out on Christmas morning with a small meal for 150 people— all they could afford. When they arrived they found that a fight was about to break out between two rival groups over a piece of dump territory, but they were able to negotiate a temporary peace for the dinner. 300 people gathered. Frank Alarcon noticed that as the women were serving ham from a pickup tailgate sliced and sliced, the ham grew no smaller; and everybody got at least one of the 75 burritos they made. When everyone had eaten seconds and thirds, they were offered the leftovers and bagfuls disappeared into the shacks. On the way back to El Paso they were in a state of shock, sure that they had seen a miracle. The next week they found that the summer camp they used for the kids was being sold. A few weeks later, someone deeded them a small ranch in Arizona… on which they found water on the first drilling...and the story goes on from there. Small acts of faith and tiny steps of obedience opened more and more doors for God to show his power and glory. The message of Jesus is that he comes to us in our poverty and in our hunger and in our sadness…whether it is physical hunger or spiritual hunger…whether it is a lack of food on the table, a job, a friend, or just self-confidence and joy. He comes to us with his grace, his love, and his healing touch to all who receive Him. We pride ourselves for being a “tolerant” society…yet even in this country we can feel excluded or sidelined for our faith in God. Scientists like Francis Collins have taken a lot of criticism for openly declaring their Christian convictions. We’re reminded over and over again in academia that “there are no absolute truths, except the truth that there are no absolute truths!” Nevertheless, Jesus says that we are blessed. Some of you come from families in which you are the first or only person to trust in Christ…and you’ve been subtly or openly criticized for that faith. Blessed are you when you make it known that you are my follower… regardless of what people may think of you. Some of you have tried to live according to a different moral standard than the world. Blessed are you when you are made fun of because you are modest or are teased for wanting to reserve the life-creating act for a life-sustaining marriage. Some of you have tried to go against the tendency to make superficial judgments about others. Blessed are you when you refuse to put down that awkward guy with the rest of your friends…but share your lunch with him instead. In God’s kingdom those who are rejected and sidelined because of Him are nevertheless blessed by Him and have the promise of heavenly rewards as well. In his book What Good Is God?, author Philip Yancey writes about the 2004 Ukraine election in which the reformer Victor Yushchenko challenged the entrenched party and nearly died for it. On election-day the exit polls showed Yushchenko with a comfortable lead, but through outright fraud, the government had reversed those results. That evening the state-run television reported, "Ladies and gentlemen, we announce that the challenger Victor Yushchenko has been decisively defeated." However, government authorities had not taken into account one feature of Ukrainian television: on the small screen insert in the lower right-hand corner of the television screen a brave woman gave a different message in sign language for the hearing impaired. "I am addressing all the deaf citizens of Ukraine. Don't believe what they say. They are lying, and I am ashamed to translate these lies. Yushchnko is our President!" No one in the studio understood her radical message. Inspired by her courage, deaf people led what became known as the Orange Revolution. They text-messaged their friends on mobile phones about the fraudulent elections, and soon other journalists took courage … and likewise refused to broadcast the party line….a million people wearing orange flooded the capital city of Kiev to demand new elections. The government finally buckled under the pressure, consenting to new elections, and this time Yushchenko won. We may not be poor in material things…but we can still be poor in spirit; and that describes so many today. We want to “win it all,” but we don’t have a clue what “it” --- is all about. The answer is not to become poor so that we can earn the really big rewards from God…but to become rich in faith and a never-ending life of generosity toward others! It stands to reason that if God comes near those who are poor, hungry, and cast out as Jesus has done… then those who are his followers will do no less. We will respond out of gratitude to God by using our vast resources of wealth, education, and influence as God would do. One day Steve Reynolds of World Vision got a call from headquarters while working in Ethiopia at the height of the famine, asking if he would host a young European couple who wanted to visit and learn firsthand what was happening. Steve was willing to help. The couple, Ali and Paul stayed almost a month, rolling up their sleeves to help and showing tireless compassion. Paul and Ali finally went home but not before they had committed to do whatever they could to help. You may know Paul Hewson better by his nickname, Bono. Since that trip in 1985 the lead singer of the Irish rock group U2, has traveled the globe as an advocate for the poorest of the poor, lobbying members of parliaments and congress; persuading governments to appropriate billions in aid. Steve Reynolds and Paul Hewson, an unknown missionary and a rock star…God inspired both to do crazy things for his Kingdom…and he will do the same in us. Like (1) going hungry for 30 hours to raise money for the poor like our students did this weekend or (2) standing up for an awkward kid in school, or (3) refusing to be quiet about our faith in Jesus even when others make fun of us. (4) Proclaiming the good news, (5) Bringing healing to the sick, (6) Sharing our abundance with those in need, (6) Comforting those who mourn, and (7) Standing with those who have fallen…we’ll do more than dream about the good life, we’ll live it…because his Good Life is living in you and me. The other day I was driving down Centinella when I saw a sign in front of a neighborhood 7-Eleven. 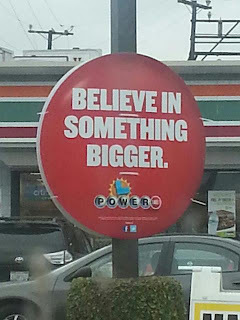 It said, “Believe in Something Bigger.” My eyes widened with curiosity as I read the fine print and snapped a picture. 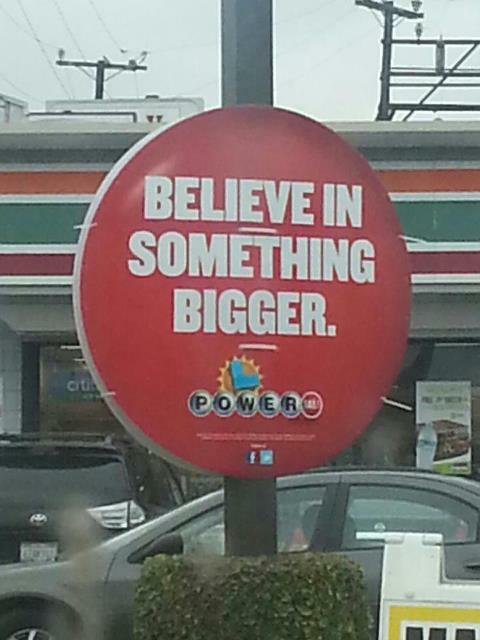 That’s when I saw the word “Powerball” – the latest California lottery gimmick. It’s amazing to me that the human capacity to believe in something truly bigger…like the fall of the Berlin Wall or sending a man to the moon, or the end of world hunger, let alone believing in the goodness and greatness of God, could be compared to believing that your one ticket in 175 million could be the lottery jackpot. In Luke 6: 12-17 we read about twelve men who were drawn to something, or rather Someone, truly bigger…One whose vision of the Kingdom of God, of justice, mercy, and love, of victory over evil, death, and hell, was so compelling that they left everything to join the first community of his followers…and together they changed the course of history. To go back to the beginning and understand what that community of Jesus’ original followers was like is to know what we should be like if we are to fulfill our ancient calling. After a night of prayer Jesus made the decision to form from among his many disciples a close knit community and to teach and train them to replicate his ministry. Mark put it this way: He “called those whom he desired to be with him.” When we say the word “church” today, most people think of a building or a religious institution; but the word “church” is much more personal than that… it is derived from the Greek word kyriakon meaning “those who belong to the Lord.” The church was not invented by Jesus’ followers as an afterthought when he died. The church was a community created by Jesus at the beginning of his ministry. It was comprised of (1) disciples (mathetes) which means "learners, students, and apprentices"; and (2) apostles (apostolos) meaning “messengers, delegates, those sent on a mission.” We read in Acts 1: 21-26 that the apostles had been witnesses of Jesus from his baptism and were now called to join in his mission. But the key is to understand that Jesus called them to be with him, to learn from him, to share life with him. He calls us not just to master his teaching, which is what the students of Rabbis typically did, but to the imitation of his life. It’s something to think that as Jesus was praying about who would join him in his ministry and proclaim his message, that he was also thinking about you and me! Which is why, in John 17: 20, Jesus prays not only for his own disciples but for “those who will believe in me through their word!” A lot of people today are in search of a good church. But our job should not only be to find a good church but to know the One who created the church and chose us to make him known! In the one case, the church is the place where I can get my needs met, in the other the church is where we meet the One who knows what I need, and join him in his mission. ii. It was a community of unlikely members. 6:14 Simon, whom he named Peter, and his brother Andrew, and James, and John, and Philip, and Bartholomew, 15 and Matthew, and Thomas, and James son of Alphaeus, and Simon, who was called the Zealot, 16 and Judas son of James, and Judas Iscariot, who became a traitor. The gospels state that Jesus called Twelve as apostles. This is not an arbitrary number. In Scripture, 12 is a family number. Jacob (Israel) had 12 sons…and those 12 became the fathers of the 12 tribes of Israel. When the N. Kingdom was destroyed in 721 BC, ten tribes were lost. The remaining 2 formed the S. Kingdom, the ancestors of today’s Jews. When Jesus called 12 to follow him, it signified Jesus’ hope for the restoration of the community of God’s people. In addition to these 12 men, the gospels name at least 3 women who followed Jesus: Mary Magdalene, Joanna, and Suzanna, “and many others who provided for them out of their resources” (Luke 8: 1-3). All this is to say that when Jesus called his followers he intended to form a family (Matt. 12: 46-50). He formed a family (not a corporation, not a mortgage investment company, not a political party, not a religious institution) but a close knit group of brothers and sisters with whom he ate, slept and shared his life. But like any family…there was great variety among them. Who could have predicted that Jesus would have chosen as the original leaders of his community such an unlikely group of diverse and even antagonistic personalities? Churches often look for what Greg Ogden once called "the omnicopetent professional" (The New Reformation). They're looking for someone with great communication skills, pastoral sensitivity, administrative excellence and though the ability to walk on water is not required…it is preferred. It’s interesting to see that Jesus did not choose for his first followers a group of rabbis or trained religious professionals - people like me. Instead he chose unschooled men like Peter and his brother Andrew who had a fishing business with James and John. Matthew, as a tax collector worked on the Sabbath and extorted money from the people…not exactly the resume of a spiritual leader, let alone the writer of a gospel. Amazingly, this man was called to follow Jesus along with Simon the zealot, an anti-Roman revolutionary and an ultra nationalist. What a strange group to lead a movement. We’ve noted the diversity of our own church before, the variety of political and economic and racial backgrounds that make up St. John’s…but it’s really the unity of our church that should amaze us more, the forbearance, the endurance of our commitment to one another. Such unlikely unity is a gift: it is only possible because of Jesus. ii. It was a community of redeemed sinners. 6:17 He came down with them and stood on a level place, with a great crowd of his disciples and a great multitude of people from all Judea, Jerusalem, and the coast of Tyre and Sidon. Jesus came down, Luke tells us. He came down from heaven to earth to walk among us, and now he comes down again from a mountain where he was in prayer with the Father to walk with his disciples, and teach them his ways. He comes down to stand on a level place with us...the ones he came to save. He is the one "who though he was in the form of God did not count equality with God something to be grasped...he humbled himself and became obedient to the point of death - even death on a cross" (Phil. 2: 6-8). When we consider the names of Jesus’ new family and the stories behind those names, we’re reminded that he came down to call sinners to repentance and faith in Him. Peter is always named first because he was first in faith…and first to fall on his face…denying he knew the Lord three times! James and John, the sons of Zebedee, were nicknamed sons of Thunder because of their fiery tempers. Bartholomew (Nathanael) tended to say whatever was on his mind. “Can anything good come out of Nazareth?” (John 1:47) Matthew the tax collector was despised by his own people as a ‘sinner.’ Thomas was the pessimist and skeptic of the group. Judas Iscariot was the dishonest treasurer, and betrayer. Failure and forgiveness will always be the twin companions of Jesus’ church. There will never be a time when we do not need them; never a time this side of heaven when we are free from failure or the need to forgive. The grace of God is the most transforming and healing power in the universe. Because of grace, Mathew began using his gifts to gather gospel material instead of taxes. James & John saw their pride and anger transformed into compassion and humility. Thomas, discovered the reasonableness of faith. Simon the Zealot joined Christ’s revolution of love. Peter knew forgiveness after failure. Now, twenty centuries later, we are still called to love because he first loved us; and to forgive because we have been forgiven. I once preached for an AP search committee and then met with the Senior Pastor. He asked me with a smile: Are you a Team Player? I sincerely answered, “Yes” and explained why. To which he replied shortly, “Well, I’m not.” “Oh." I was pretty sure that was the end of the interview! After speaking with a staff member I learned that this pastor liked to breed competition between his staff members rather than teamwork to encourage productivity. It seemed to me that fear and intimidation was the motivating work environment he was trying to create. The foundation of Jesus’ community was not fear or intimidation, but grace and apprenticeship to Him. It was Jesus who told the story of the prodigal son, forgiven and welcomed home by his father, to illustrate God’s love. It was Jesus who said to the adulteress, “I do not condemn you…go, and sin no more.” It was Jesus who said, “I did not come for the righteous, but to call sinners to repentance.” The church is sometimes accused of being “hypocritical.” In truth there is some hypocrisy in everyone of us. The word “hypocrite” which was the name given to an actor who wore a mask over his face in ancient Greek plays…accurately describes how many of us attempt to cover up the true person inside. The church was designed by Jesus to be a place where actors and actresses can come and finally remove those masks, admit their faults and find grace and healing. iv. It was a community with breathtaking orders. 9:1 Then Jesus called the twelve together and gave them power and authority over all demons and to cure diseases, 2 and he sent them out to proclaim the kingdom of God and to heal. Just as Jesus called the twelve and gave them power and authority over evil and disease and sent them out to proclaim the Kingdom of God…so he has sent us. When the Secretary of State is sent on a diplomatic mission to negotiate a peace treaty or meet with heads of state, the Secretary represents the President and acts on behalf of and with the power and authority of the President. Jesus said, “As the Father has sent me, so I send you.” Just as Jesus was sent by the Father on a mission to redeem this world, so he sends us into the world as his representatives. Earlier I said that the word “apostle” means "one who is sent on a mission." Now it would be easy to assume that only apostles go on missions… just as many assume that ministry is what we pay the pastor or missionaries to do. In fact, the apostles were the leaders of the mission…but not the only members of the mission team. In Luke 10: 1-2 we read that Jesus sent out the 70 to do exactly what he tells his apostles to do here. So….there are no disciples without a mission! Now when Jesus gave the Twelve a mission, he also gave them the power and authority to accomplish it. People today are hungry for power and authority… for fame, influence, prestige. The brothers that bombed the Boston marathon last week may have been seeking some kind of power and authority through violence and terror. But this is not the kind of power that Jesus gives. His power and authority are given in order that we might confront evil not do evil, heal the sick not make people sick, and proclaim the good news of the Kingdom…where what God wants done is done. I was talking to a guy at the gym who has become disillusioned with people. He doesn’t want to be part of a worshiping community because people have hurt him and disappointed him. I’ve been trying to give him hope…that the community of God’s people is filled with imperfect people, but its also a place where we can experience forgiveness and find healing relationships. He’s part of my mission. Jesus invited us to be part of God’s advancing kingdom on earth and beyond through faith in Him. Friends, our neighbors need, our co-workers need, our friends at school need what we’ve been given by grace through faith alone. Friends, regardless of what kind of work we do, Christ has called us to care for the inside of people as well as the outside, to commit ourselves to Him as the healers and proclaimers of kingdom hope, to encourage those around us to believe in the One whose grace is bigger than our sin and shame...and whose resurrection life is bigger and stronger than death itself. This is the job of the church…not just a place that we go to, but a community that goes in His risen name. Risen Lord, we thank you for calling us to share life with you in the community of your people. We also acknowledge that with community come the inevitable irritations of real life together. Therefore, help us not only to confess our sins to you, but to ask forgiveness from those we have hurt; to practice the same forbearance that you have shown us. Master, as much as we love this spiritual family and desire for it to grow ever deeper, may it not become an idol. Forgive us when the familiar has blinded us to the unfamiliar, the unloved, and the uncommitted who are outside our church walls. Help us to warmly welcome into our hearts and homes, and this church, those who need your illuminating truth and redeeming love as much as we do. Amen! Life for me began in seminary - literally. I was conceived at Princeton Seminary by my newlywed parents. My dad's first pastoral call brought us to So. California where he has served for more than 40 years with mom as his partner. The San Fernando Valley was home before attending college at UC San Diego. There I studied English & American Lit., Classical Studies,and competed on the intercollegiate rowing team before graduating in 1980. I came full circle when I received my Master of Divinity from Princeton Seminary in 1988; and went on to receive my doctoral degree from Fuller Seminary in 2001 with a focus on Christian discipleship. In 1995 I married my beautiful wife Lisa, a Marriage & Family Therapist who shares an office in West LA with her colleague Cathy Rader. I'm proud to say that I'm an insulin dependent diabetic of more than 20 years, in good health thanks to God, my wife, lots of hard work, and a great doctor, Neil Goldberg. My brother Scott is also a pastor who presently resides in Rapid City, South Dakota. I am privileged to be the senior pastor of St. John's Presbyterian Church in West LA. Lisa and I have two wonderful daughters. © 2013 Rev. Dr. Steven H. Craig. Picture Window theme. Theme images by Nikada. Powered by Blogger.